Have you driven a 1987 Nissan Pulsar? Displaying 1 - 10 of 14 1987 Nissan Pulsar reviews. Next Best Thing To A Convertible... — This was by far the most fun car I have ever had. 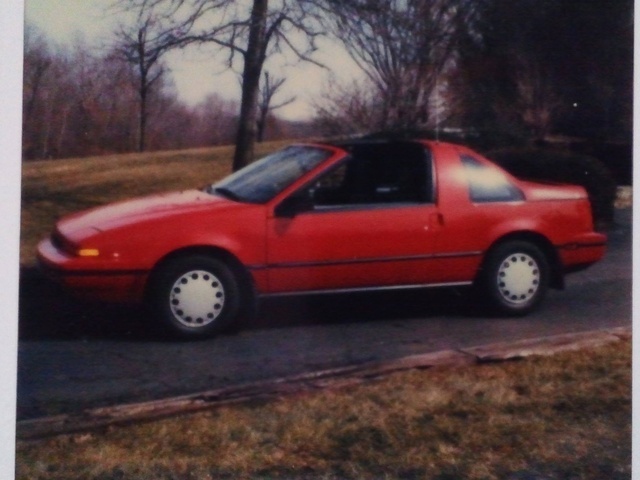 It was the first year that the Pulsar had the T-Tops and removable Hatch. My girlfriend/fiance/wife used to go on road trips for hours in this car just because it was fun to drive. (I think the red paint had something to do with our getting hitched). After this car was no longer practical for me to drive (needed a car with more than two usable seats) my Dad drove it for 10 more years. 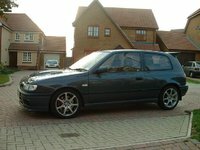 Looking for a Used Pulsar in your area? I Would Love This Car If It Was The Se Version But Instead I Realized Its The Xe — This is the XE e16i model and has been stored for years and has low miles for an 87 car. The SE model has a fuel injected DOHC engine with the hp of 120 instead of being a carbourated 70hp. I Want To Put In A Better Engine In It But I Do Stupid Stuff Like That. — one fun unique car. the pulsar has a very unique body style which is what drew me to it. now having my roots in american muscle i can say that it doesn't have much power but it can be upgraded for that extra kick. when i got it at 180k miles it needed most everything rebuilt but at 20+ years of age it wouldn't be unexpected. now i drove this car for about a year and a half on a blown head gasket which was blown when i got it. on gas mileage it is superb. now all i have to do is re-time it and then drive it like a go-cart. This car was purchaed used after the 96 Geo Metro. I think I only paid 500 at a dealership in East Brunswick. The car wasn't pretty, but ran like a charm. I think I had this car about three months when coming home from work on Rt 1 Edison, two drag racers rammed the back end of the car. Breaking the gas line and doing frame damage. The car was totalled. It was a really cute ride, I never really had the time to invest alot of intrist in the car. After the accident, I was scared to be in a smaller car driving the NJ streets. I do recall it was probaablt better on gas then my metro. I loved the sun roof, Though the ceiling in the car was too low to wear my cowboy hat. Fast car. This car would be on the bottom of the list of the style car I would own again, but I would reccomend it to small car drivers. This car owed me nothing before thee accident. My accident lawyer dropped/fired me after I refused to go to physical therapy after going five times a week for three months. I no longer felt the need, and just felt he was becoming a total scam anyhow. All I ever wanted was a replacement car for the damages done. He was looking at setting me up for life in a Nice Home and Car, lawyers are just plain greedy. If he would have just gone for a replacement car we could have all walked away happy. Cons: maintenence, crash ratings poor. Fun For When You Have No Kids. But Then Again..... — Th is was a fun car to drive. It is a damn shame that Larry dropped the refrigerator door on there. It was horrible for having kids, as the car seat never did fit in the back. Taking the t-tops out was fun. Turbo , Lightweight, Manual Means Speed. — This was my second car I bought after I sold my Cortina. Was a 1.5L 4 cylinder turbo with a Garrett T25 turbo on it, and it FLEW. Manual of course however this time it had a 5th cog which gave it awesome economy as well, I was getting about 450km out of a tank. And that's with boosting it at times. Being FWD it had a tendency to understeer when it was pushed which I wasn't a fan of, and being a hatch it was quite a small car inside. So I never really had 5 people in the car often. Also you notice the lack of torque when the car is loaded up. Build quality was awesome, as it would be being a Japanese car built in Australia. Didn't really have any major issues during the time I owned it, except for the ring gear needing to be replaced which is a common problem on these toys. Not For A Racer, But For A Casual Cruiser... — Yet again, ANOTHER highschool car, this one was actually quite fun. It was not quick at all but it did handle quite well. I think the best part about it was the t-top roof; you really couldnt get any cooler. I would most likely still have that car today if it did not blow up multiple with coolant spewing everywhere. Fun Car For Very Little. — This car was a blast until things wore out. By the time I got rid of this the front bearings were shot and the brakes warped multiple times. But it got looks from bystanders with the t-tops off and the decent stereo (after modification) bumping. No power to the engine, but who cared. 35MPG!! It went everywhere and only once got high centered during a snow storm. Pros: Looks, drives in all conditions, mileage, fits in any parking spot. Cons: Parts fail all at once, no HP when you need it.